Leigh Electrical offer a specialist emergency electrician service for landlords in Southend and across Essex. Our electricians are able to respond at very short notice to your properties and assist your tenants in event of power failure or other emergency electrical issues that be have befallen them. We have over 50 years experience of assisting landlords and liaising with tenants. We appreciate that often landlords may be out of the area or unavailable to attend the premises themselves and Leigh Electrical are willing to attend premises in these situations. However in this particular type of circumstance, written confirmation and consent via email will be required before we can commence any works. Leigh Electrical hold full NICEIC registration and as such all of the domestic electrical works we complete are covered under the NICEIC Platinum Promise 5 Year Guarantee. NICEIC Accreditation is often considered to be the highest level of electrician trade accreditation in the UK. To contact our team, please select one of the buttons below or dial us directly on 01702 873350. Why Leigh Electrical For Emergency Electrician Work? 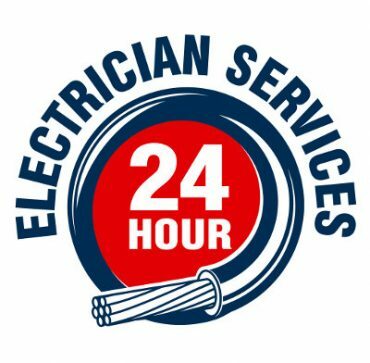 Leigh Electrical operate 24 hours a day for electrical emergencies. Our electricians are all highly skilled and experienced in resolving electrical issues quickly and cost effectively. We have excellent coverage in Southend and the wider Essex area. Emergency works can gladly be undertaken with payment from your tenant or if you wish to provide written confirmation for works to proceed then we can invoice you accordingly. The quality of the service we provide has been remarked upon by many landlord customers in the Southend and Essex area. Below is one of a selection of quotes left by previous customers across Yell, Trustatrader and Checkatrade. Alongside our emergency landlord electrician service we provide a full compliament of additional landlord electrical services including test certificates and PAT testing. We also offer all the usual domestic electrician services such as lighting installations, plug socket installs and fault finding. Please call Leigh Electrical to obtain your free no obligation quote. Our electricians operate across the Essex area, 7 days a week including evenings.